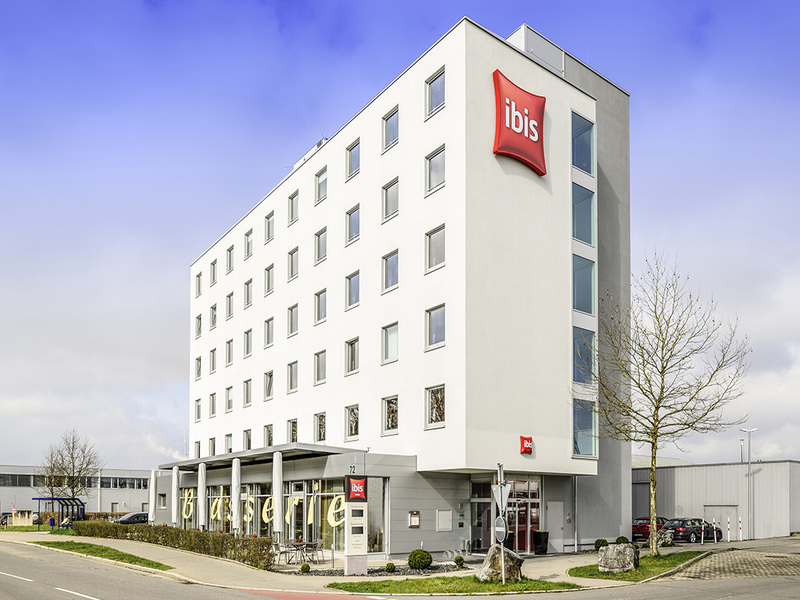 Exhibition site, Zeppelin city and Lake Constance: located at the airport, the ibis Friedrichshafen Airport Messe is the ideal location for business and leisure activities. Thanks to the convenient transport links, you can reach Lake Constance, l ocated 4 km away, in minutes. The appealing surroundings and proximity to Switzerland offer virtually unlimited options for destinations for trips. The hotel's 80 soundproofed and air-conditioned rooms offer contemporary feel-good comfort, plus free WIFI. Choose from 80 soundproofed and air-conditioned rooms equipped with unbelievably comfortable Sweet Bed by Ibis beds. A peaceful night's sleep is guaranteed. With functional desk, flat-screen TV and free WIFI. Feeling hungry? Make sure you taste the a la carte gourmet cuisine at our ibis restaurant during your stay. Fancy a hot coffee or a cool drink? Our 24-hour hotel bar offers a wide range of drinks and snacks. Enjoy a well-deserved break in a cozy setting.